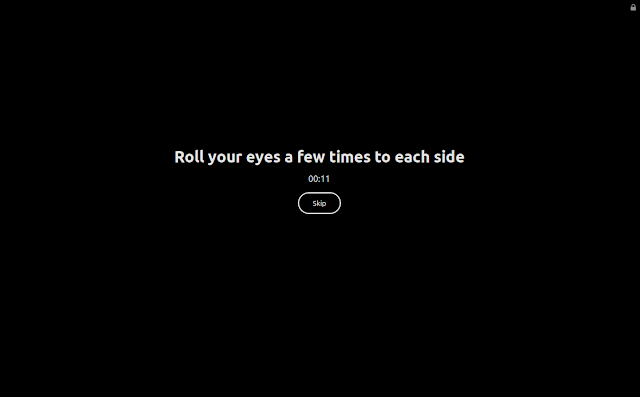 Configurable break interval, duration, break text and settings, etc. There are various advanced options as well. For example, an option I like is available via the Do Not Disturb plugin, which skips break if the active window is in fullscreen mode - it can be configured to not interrupt when particular windows are present, or to automatically enter not disturb while on battery. 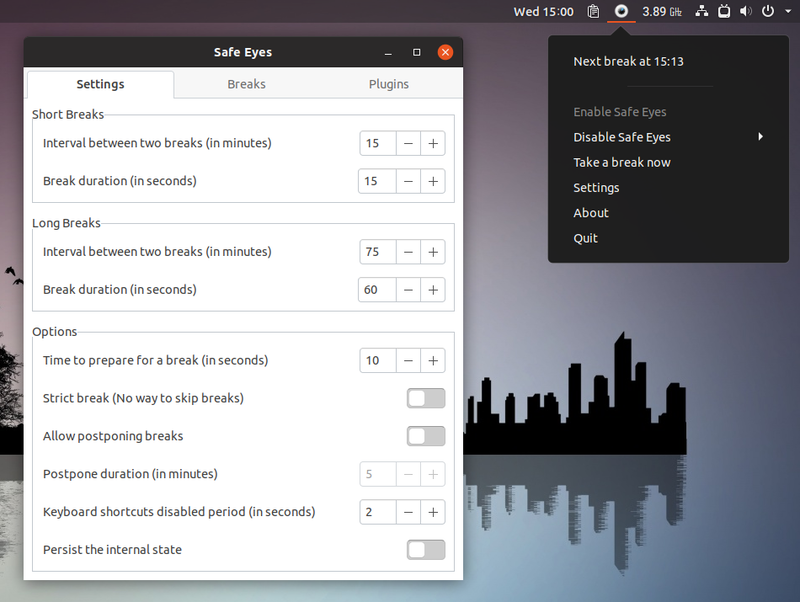 Safe Eyes can be controlled from its tray icon (which is implemented as as an optional plugin), but it works without it. Instead of accessing the settings from the tray icon menu, launch Safe Eyes from the applications menu a second time, and its settings window will open instead of running a second instance of the application. Other actions present in the tray menu can be passed from the command line, like disabling Safe Eyes, forcing a break, and more. The Safe Eyes installation section includes instructions for installing the application in Arch Linux, Debian, Fedora, Gentoo, Ubuntu and Linux Mint. To install the latest version from a PPA, see the instructions on the Safe Eyes website.